Miller Dynasty® 210 is a 210 amp AC/DC TIG welder that can weld up to 1/4 inch thick aluminum and 1/4 inch thick steel. 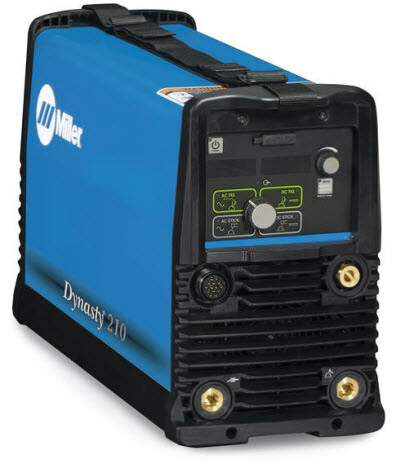 The Dynasty 210's inverter design makes this welder compact and lightweight (only 47 pounds). The 210 features user-friendly weld control interface and comes complete with memory card expansion slot for maximum flexibility and expand-ability. Miller's Autoline™ automatic input voltage sensing allows the Dynasty 210 to be hooked up to 120 volt to 480 volt, single phase or three phase, input power without manual linking. 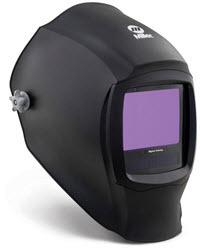 The Miller Dynasty® 210 TIG welder provides the basic features that are required for most AC/DC TIG or STICK welding applications, including pulsed DC TIG welding and provides operator-friendly, menu-driven features. AC Balance Control (60-80%) controls the amount of oxide cleaning (amperage time in EN) which is essential for high quality welds on aluminum. NOTE: This welder DOES NOT come with CPS. There is no electrical receptacle in the rear of the welder for a water cooler. what are some of the other product i can purchase to get the additional $200 rebate along with the welder? The power source comes with an 8 ft. input cord. Does it come with Miller #154649 plug, 20A, 250V and Miller #154649 15A, 125V adaptor plugs? IF not, what is the cost of each? OR the cost to have an input cord ready to accept them? AND is the $200 rebate taken off purchase price or mailed in later with a check being mailed? Thanks.